We were picked up a little later this morning, at around 8.30am and began the journey down to our next destination; Hot Water Beach. After a quick supermarket stop, we headed to our hostel, a lovely campsite that is rated in the top ten in New Zealand. We had an hour to have some lunch and chill in the sun before getting back on the bus to go to a beach called Cathedral Cove. 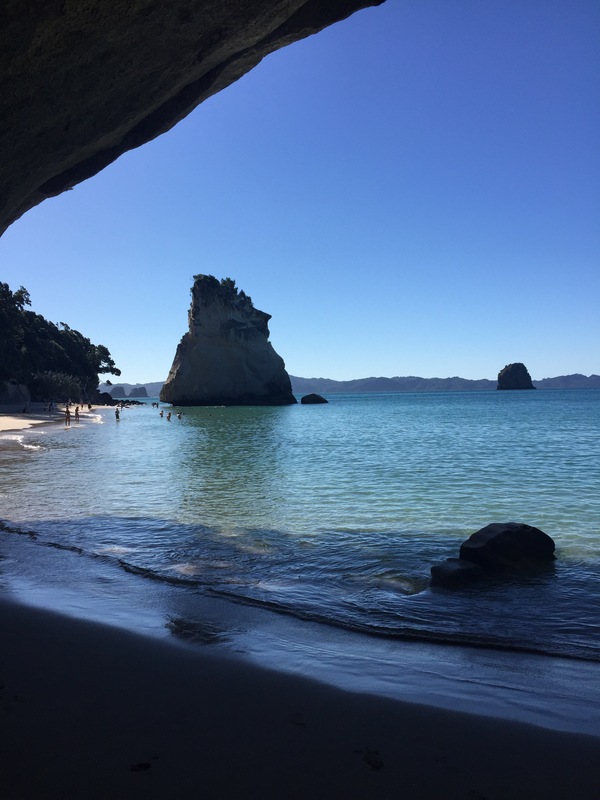 A 45 minute walk from the main road, Cathedral Cove is a beautiful beach surrounded by rocks. We spent a blissful two hours here topping up the tan! Later on at around 8pm once we had all made dinner, we headed down to Hot Water Beach for a very interesting couple of hours. The tectonic plates that run through New Zealand cause hot water to rise out of the sand here and you can dig your own natural hot spring bath! Some of the water gets up to 60 degrees and we couldn’t even stand in it! 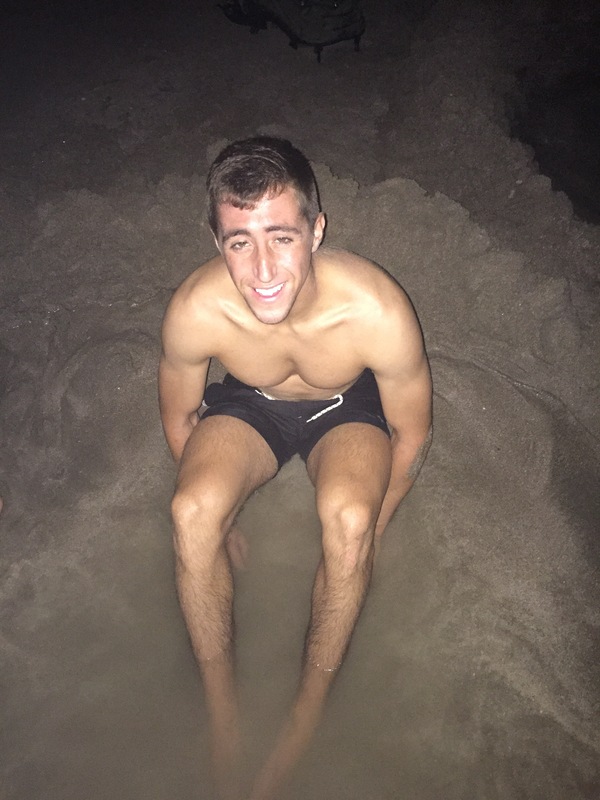 Matt got really involved and submerged his whole body in the sand pools, whereas I was happy to dip my feet in. We stayed here for around an hour and a half until the tide began to come back in and then headed home for a nice warm shower and a couple of drinks with our dorm mates. I’m really enjoying being able to tick off things that I never would have thought I’d get to do! 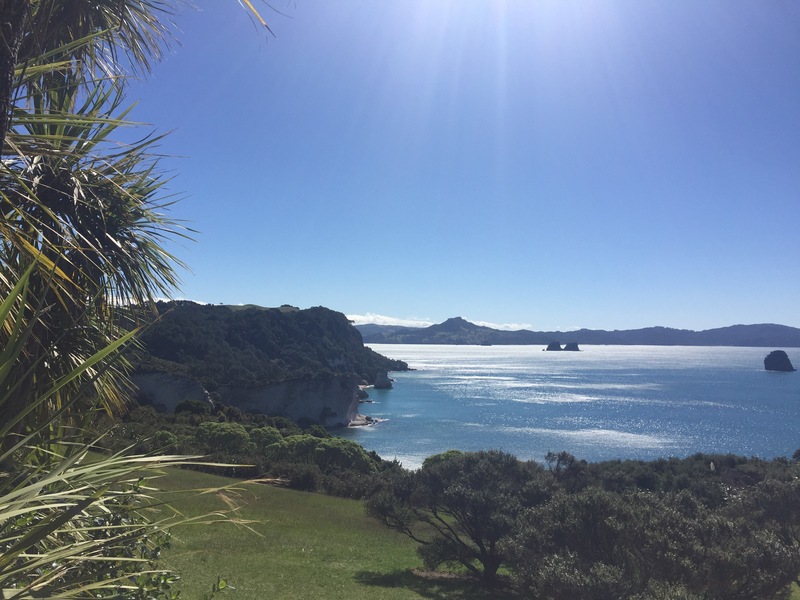 Day 3: A 14km Hike & the Return to Auckland.